international trade and investment, international technological competition, Asia-Pacific economies, US trade policy. Peter A. Petri is the Carl J. Shapiro Professor of International Finance in the Brandeis International Business School. 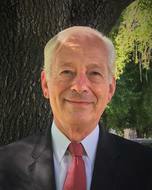 From 1994 to 2006 he served as the founding Dean and from 2016 to 2018 as the Interim Dean of the School. He is also a Non-Resident Senior Fellow at the Brookings Institution and its John L. Thornton China Center (Washington), and a Visiting Fellow at the Peterson Institute for International Economics (Washington). Petri has held appointments as Visiting Scholar or Professor at the OECD (Paris), Keio University (Tokyo), Fudan University (Shanghai) and Peking University (Beijing), and as a Fulbright Research Scholar and Brookings Policy Fellow. He has consulted for APEC, the Asian Development Bank, the Asian Development Bank Institute, the World Bank, the OECD, the United Nations and the governments of the United States and other countries. He is or has been a member of the editorial boards of the ASEAN Economic Bulletin, Journal of Asian Economics, Journal of East Asian Economic Integration and the Singapore Economic Review. He is active in US-Asia affairs and is a member of the Board of the U.S. Asia Pacific Council and a former Chair of the U.S. APEC Study Centers Consortium. Petri, Peter A and Michael G. Plummer. "A silver bullet for the trade war." South China Morning Post January 13-19, 2019: This Week in Asia 9. Michael G. Plummer, Christopher Findlay, Peter A. Petri and Ganeshan Wignaraja. Update to the FTAAP Opportunity: A Report to ABAC. Tokyo APEC Business Advisory Council: 2018. Petri, Peter A and Michael G. Plummer. "The case for RCEP as Asia's next trade agreement." Order from Chaos. (November 6, 2018): East Asia Forum. 2018. Petri, Peter A, Michael G. Plummer, Shujiro Urata and Fan Zhai. "Going It Alone in the Asia-Pacific: Regional Trade Agreements Without the United States. Lakatos, Csilla, Maryla Maliszewska, Franziska Ohnsorge, Peter Petri and Michael Plummer. "Potential Macroeconomic Implications of the Trans-Pacific Partnership." Global Economic Prospects 2016. Ed. World Bank. Washington, D.C.: World Bank, 2016. 219-236. Petri, Peter A and Michael G. Plummer. "The Economic Effects of the Trans-Pacific Partnership: New Estimates." Assessing the Trans-Pacific Partnership, Volume 1: Market Access and Sectoral Issues. vol. 1 Ed. Kimberly Ann Elliott et al.. Washington, D.C.: Peterson Institute for International Economics, 2016. 6-30. Petri, Peter A and Michael G. Plummer. The Economics of Analyzing the TPP. Washington, D. C. US International Trade Commission Hearings: 2016. Petri, Peter A. and Phan Loc Kim Phuc. Viet Nam Bets on Trade: The Implications of the TPP, EVFTA and RCEP Agreements. Hanoi, Viet Nam United Nations Development Program: 2016. Petri, Peter A, Christopher Findlay, Michael Plummer and Ganeshan Wignaraja. The FTAAP Opportunity: A Report to ABAC. Manila, Philippines APEC Business Advisory Council: 2015. Dobson, Wendy and Peter A. Petri. "Asia in Global Economic Governance." The Oxford Handbook of the Economics of the Pacific Rim. Ed. Inderjit N. Kaur and Nirvikar Singh. London: Oxford University Press, 2014. 261-289. Masahiro Kawai and Peter A. Petri. "Asia's Role in the Global Economic Architecture." Contemporary Economic Policy 32. 1 (2014): 230-245. Michael G. Plummer, Peter A. Petri and Fan Zhai. "Assessing the Impact of ASEAN Economic Integration on Labour Markets." September 2014. Petri, Peter A and Ali Abdul-Raheem. "Can RCEP and the TPP be pathways to FTAAP?." State of the Region, 2014. Ed. Pacific Economic Cooperation Council. Singapore: PECC, 2014. Ch. 2, 31-43. Petri, Peter A and Michael G. Plummer. ASEAN Centrality and the ASEAN-US Economic Relationship. Honolulu: East-West Center, 2014. Petri, Peter A, Michael G. Plummer and Fan Zhai. "The Effects of a China-US Free Trade and Investment Agreement." Bridging the Pacific: Toward Free Trade Between China and the United States. Ed. C. F. Bergsten, G.C. Hufbauer and S. Miner. Washington: Peterson Institute for International Economics, 2014. 31-84. Petri, Peter A, Michael G. Plummer and Fan Zhai. "The TPP, China and the FTAAP: The Case for Covergence." New Directions in Asia Pacific Economic Integration. Ed. Guqiang Tang and Peter A. Petri. Honolulu: East-West Center, 2014. 78-92. Petri, Peter A. and Michael G. Plummer. ASEAN Centrality and the ASEAN-US Economic Relationship. Honolulu: East-West Center, 2014. Tang, Guoqiang and Peter A. Petri, ed. New Directions in Asia Pacific Economic Integration. Honolulu: East-West Center, 2014. Petri, Peter A and Vinod Thomas. "Asia's Coming Shift." The International Economy 65. (2013): 38-39. Petri, Peter A. "The New Landscape of Trade Policy and Korea's Choices." Journal of East Asian Economic Integration 17. 4 (2013): 333-359. Petri, Peter A. and Fan Zhai. Navigating a Changing World Economy: ASEAN, the People’s Republic of China, and India. Tokyo ADBI: 2013. Petri, Peter A. and Michael G. Plummer. "Gain? Loss? The TPP phobia that bewilders Japan." Newsweek (Japan) April 2, 2013: 28-31. Petri, Peter A. and Michael G. Plummer. "To Revitalize Japan, Start with Trade Policy." Nihon Keizai Shimbun January 28, 2013: 15. Peter A. Petri, Michael G. Plummer and Fan Zhai. "The ASEAN Economic Community: A General Equilibrium Analysis." Asian Economic Journal 26. 3 (2012): 93-118. Petri, Peter A, ed. Technology, FDI and Asian Dynamism (Special Issue). Journal of Asian Economics Vol. 23, No. 3 2012. Petri, Peter A. "Can Asia Grow Fast on its Own? The Economics of the Dynamic Middle." Australia's Economy in its International Context: The Joseph Fisher Lectures, Volume II: 1956-2012.. Ed. Kym Anderson. Adelaide: University of Adelaide Press, 2012. 617-650. Petri, Peter A. "Competing Templates in Asia-Pacific Economic Integration." Asia at a Tipping Point: Korea, the Rise of China, and the Impact of Leadership. Ed. Gilbert Rozman. Washington: Korea Economic Institute, 2012. 238-245. Petri, Peter A. "The Determinants of bilateral FDI: Is Asia different?." Journal of Asian Economics 23. 3 (2012): 201-209. Petri, Peter A. and Tri Thanh Vo. "Asian and Trans-Pacific Initiatives in Regional Integration." State of the Region Report, 2012-2013. Ed. Pacific Economic Cooperation Council. SIngapore: PECC, 2012. 34-41. Petri, Peter A., Michael G. Plummer and Fan Zhai. The Trans-Pacific Partnership and Asia-Pacific Integration:A Quantitative Assessment. Washington: Peterson Institute for International Economics, 2012. Peter A. Petri and Michael G. Plummer. "Comparative advantage and structural change: Toward a complementary policy regime." Globalisation, Comparative Advantage and the Changing Dynamics of Trade. Ed. Organization for Economic Cooperation and Development. Paris: OECD, 2011. 333-346. Peter A. Petri, Michael G. Plummer and Fan Zhai. "The Trans-Pacific Partnership and Asia-Pacific Integration: A Quantitative Assessment." October 24, 2011. Petri, Peter A. "An Input-Output Analysis of Post-Crisis Rebalancing in the Asia Pacific Economy." Asia Beyond the Global Economic Crisis. Ed. Satoshi Inomata. Cheltenham, UK: Edward Elgar, 2011. 169-190. Petri, Peter A. "Beyond the Golden Era: Asia Pacific Cooperation after the Global Financial Crisis." The Politics and Economics of Integration in Asia and the Pacific. Ed. Shiro Armstrong. London and New York: Routledge, 2011. 13-36. Giovanni Capannelli, Jong Wha Lee and Peter A. Petri. "Developing Indicators for Regional Economic Integration." Singapore Economic Review 55. 1 (2010): 125-161. Masahiro Kawai and Petri, Peter A. "Asia's Role in the Global Economic Architecture, Asian Development Bank Institute Working Paper No. 235." 2010. Masahiro Kawai, Jong Wha Lee and Peter A. Petri, ed. Asian Regionalism and the World Economy: Engine for Dynamism and Stability. UK: Edward Elgar, 2010. Masahiro Kawai, Jong Wha Lee and Peter A. Petri. "Asian Growth and Global Stability." Asian Regionalism in the World Economy: Engine for Dynamism and Stability. Ed. Masahiro Kawai, Jong Wha Lee and Peter A. Petri. UK: Edward Elgar, 2010. 1-12. Masahiro Kawai, Peter A Petri and Elif Sisli-Ciamarra. "Asia in Global Governance: A Case for Decentralized Institutions." Asian Regionalism and the World Economy: Engine for Dynamism and Stability. Ed. Masahiro Kawai, Jong Wha Lee and Peter A. Petri. UK: Edward Elgar, 2010. 446-475. Petri, Peter A, ed. Inclusive, Balanced and Sustained Growth in the Asia Pacific. Singapore: ISEAS Press, 2010. Petri, Peter A and Michael Plummer. "The Triad in Crisis: What We Learned and How it Will Change Global Cooperation." Journal of Asian Economics 20. 6 (2009): 700-713. Petri, Peter A. "How the Asia Pacific Can Drive the Global Recovery." East West Dialogue 3 (2009). Petri, Peter A. "The Effects of Technology and Technology Policy on FDI." Fudan University Conference Proceedings. (2009). Tze-Wei Chen and Peter A. Petri. Indonesia 2009: Individual Action Plan Study Report. Asia Pacific Economic Cooperation. Singapore: 2009. Asian Development Bank (Petri, Peter A, principal consultant). Emerging Asian Regionalism: A Partnership for Shared Prosperity. Manila: Asian Development Bank, 2008. Petri, Peter A. "Asian Trade Policy: Matrix or Noodle Bowl?." Asia Pacific Issues (2008). Petri, Peter A. "Financing Asian Growth." A Decade of Developments. Ed. Masahiro Kawai and Susan F. Stone. Tokyo: Asian Development Bank Institute, 2008. 23-44. Morrison, Charles E. and Peter A. Petri. "Renewing the Pacific Partnership." East-West Dialogue 1. 1, September (2007): 1-9. Petri, Peter A and Sumner J. La Croix, ed. Challenges to the Global Trading System: Adjustment to Globalization in the Asia-Pacific Region. London and New York: Routledge, 2007. Sumner J. La Croix and Petri, Peter A. "New Challenges to the Global Trading System." Challenges to the Global Trading System: Adjustment to Globalization in the Asia-Pacific Region. Ed. Peter A. Petri and Sumner J. La Croix. London and New York: Routledge, 2007. 1-8. Petri, Peter A. "Introduction: Brandeis on Business." WorldView (Brandeis International Business School) 2. 1 (2006): 5-9. Petri, Peter A. "Is East Asia Becoming More Interdependent." Journal of Asian Economics 17. 3 (2006): 381-94.